No, I did not find it abandoned on the bench on the National Mall. I brought it with me. It was 70 degrees outside, which means it was actually possible to sit outside with a book and a sandwich (not pictured). 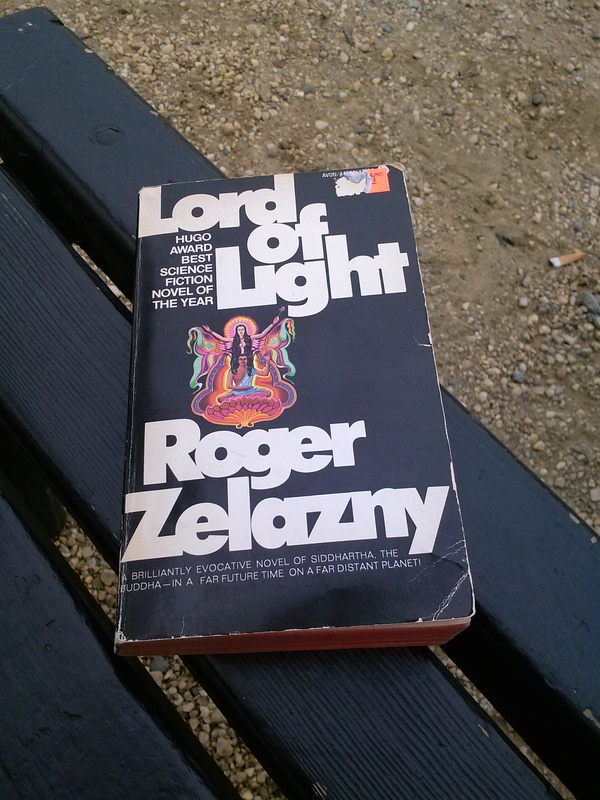 Bookgroup reading for this Thursday, classic, etc., etc. Great stuff. 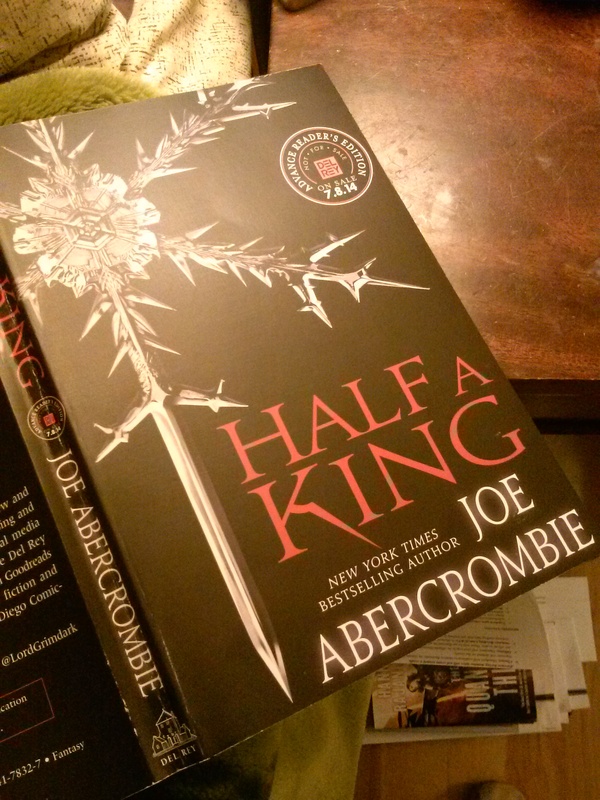 Halfway through (see what I did there) Joe Abercrombie’s Half a King. People tell me it’s marketed as YA. I think in Abercrombie’s world that means everyone is still stabbing (or backstabbing, rather) each other with pointy ends, but without swearing quite as much. New Jo Walton! New Daryl Gregory! Apologies to the third author, whose name on the cover is written in scattered points in tiny font and therefore not visible here. 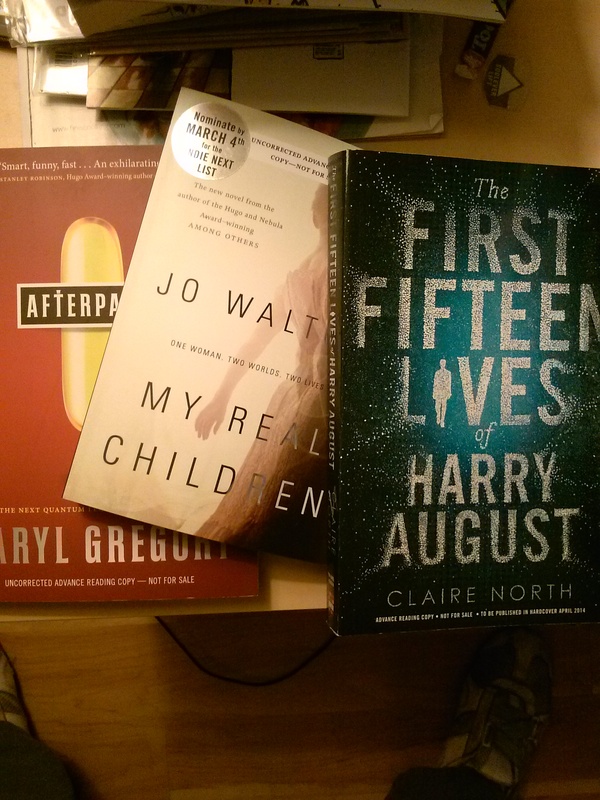 Her name is Claire North, and her book sounds good. The Shining Girls is mentioned on the back, as is Life After Life. Sign me up. I’ll be honest, I don’t really read poetry in English (though I read it in Russian, and it’s interesting to ponder reasons why it works for me in one language but not the other). 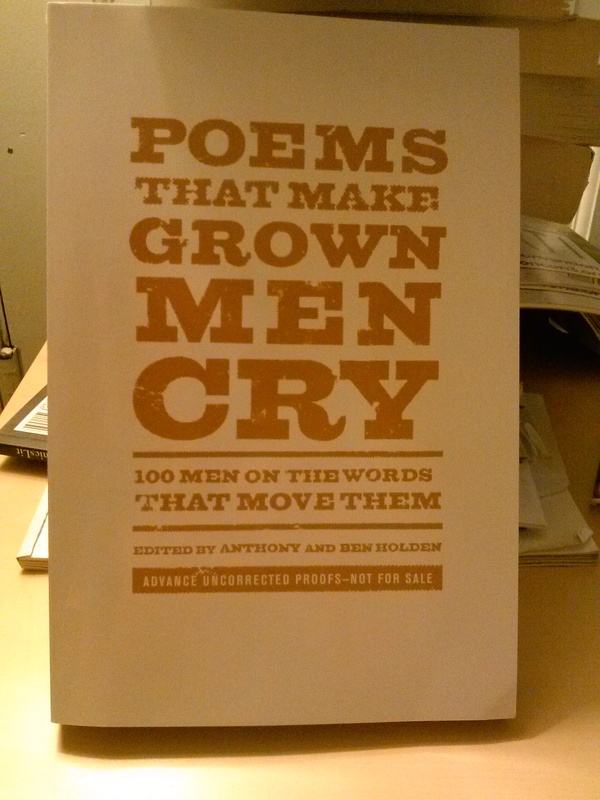 But I dearly, dearly need to know what poems make the following people cry (from the table of contents): Stephen Fry, Patrick Stewart (! ), Daniel Radcliffe, Andrew Solomon, J.J. Abrams, Colin Firth, and Tom Hiddleston (!! ), among others.